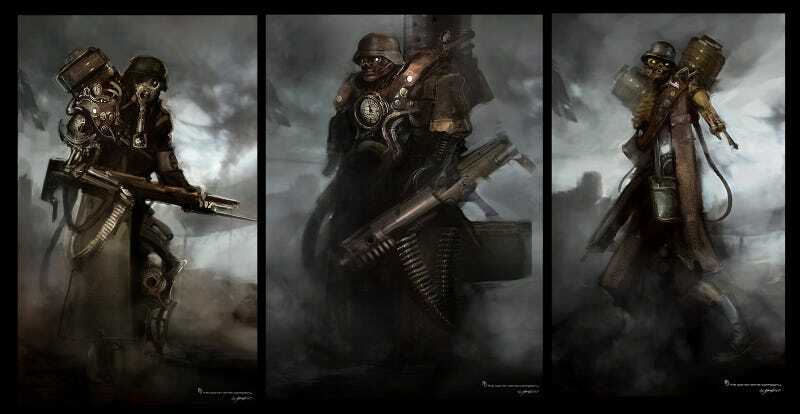 We've sung the praises of Jerad Marantz's fantastic concept art before. Now check out the mecha, orcs, and shogun robots Marantz designed for Zack Snyder's sanitarium-and-schoolgirls escape flick Sucker Punch. We're pretty sure bushido-borgs weren't exactly in vogue in the 1950s, but when Marantz is drawing them, we certainly aren't complaining. You can see more of these everything-but-the-kitchen-sink bad guys at Marantz's site.